Bogosavljev said each team will submit a preliminary delegation roster of 24 players, 10 coaches and 15 accompanying officials and at the technical meeting on Aug. 29, the lineup will be trimmed to 12 players, two to three coaches and six to seven accompanying officials. 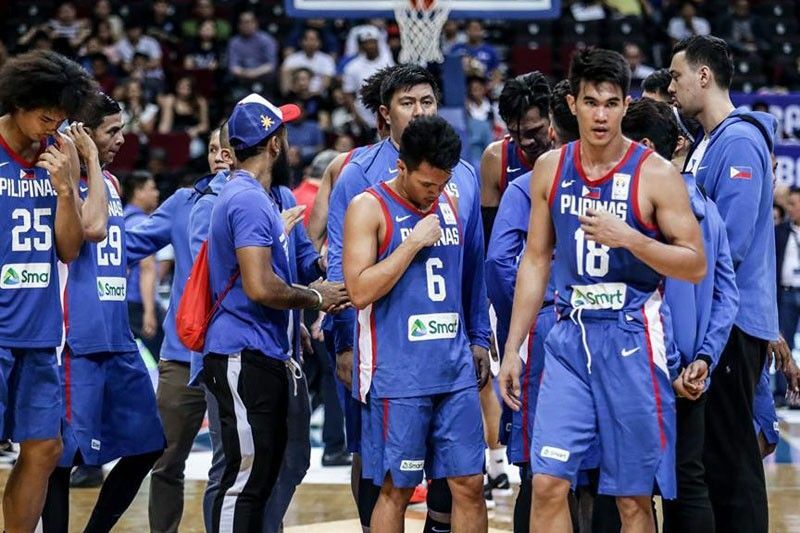 MANILA, Philippines — If and when the Philippines advances to the second round in this year’s FIBA World Cup, Gilas will join the top two finishers of Group C, likely to be Spain and Puerto Rico, in Wuhan where the national team wound up fourth at the FIBA Asia Championship in 2011. In the event the Philippines drops to the relegation round, Gilas will play the last two finishers of Group C, likely to be Iran and Tunisia, in Beijing. Each of the 32 teams participating in the World Cup is guaranteed to play five games, three in the first round and two in the second, whether to qualify for the quarterfinals or to figure in the classifications. In the first round, the Philippines will play Italy on Aug. 31, Serbia on Sept. 2 and Angola on Sept. 4 in Group D at the 14,700-seat Foshan International Sports and Cultural Center. Games in the second and classification rounds will be on Sept. 6 and 8. The quarterfinals will be held in Shanghai and Dongguan on Sept. 10-11, the semifinals in Beijing on Sept. 13 and the final in Beijing on Sept. 15. In a briefing for representatives of the 32 countries the morning after the World Cup draw in Shenzhen last weekend, FIBA sport and competitions director Predrag Bogosavljev showed slides introducing the eight host cities in the first round – Beijing, Wuhan, Guangzhou, Foshan, Shanghai, Nanjing, Shenzhen and Dongguan. He identified the hotels in each city where the teams will be billeted and noted the distance to the playing venue and airport. The Philippines will stay at the Hilton Foshan Hotel which is 5.9 kilometers from the stadium and 50 kilometers from the Foshan Shadi airport. The classification round will determine the rankings of teams from No. 17 to No. 32, a critical stage because only the top 16 teams, outside of the seven Tokyo Olympic qualifiers and 2020 Summer Games host Japan, are given automatic tickets to compete in four Olympic qualifying tournaments. If the seven Olympic qualifiers (the top finishers in Asia, Africa, Oceania and the top two finishers in Europe and the Americas) and Japan land in the top 16 of the World Cup, it means the teams that wind up from No. 17 to No. 24 will be invited to the four Olympic qualifying tournaments to be held in Asia, Europe, Americas and Africa in June 2020. Each of the four FIBA zones will nominate two additional teams to comprise a pool of 24 to be split into six for every Olympic qualifying tournament. Only 12 teams will play in the Olympics.